Returning officers of the Pakistan Election Commission are using extraordinary discretionary powers in accepting nomination papers. It will fall under the concept of pre-poll rigging, if they use discretionary power in such a way as they are selecting people. On the one hand, they have rejected the nomination papers of Jamshad Dasti on the grounds that he submitted fake degree in the 2006 election for which he was recently convicted by the court; on the other hand, Nawaz Sharif and Shabaz Sharif papers were accepted even though they were, rightly or wrongly, convicted in hijacking case in the Musharraf’s regime. The argument is not valid that the Sharif brothers were pardoned from the then President in the case and sent to exile in Saudi Arabia. 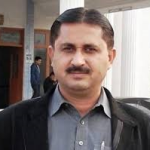 Jamshad Dasti was also indirectly pardoned by the court: when his case went, first time, to the Supreme Court regarding his fake degree, the court offered him two options either face the trial in the court or resigned from his membership in 2010. So he chose the second option and contested the election again from the same constituency and won it. There are two important questions that the Election Commission and the Judiciary must answer: First, why did the Election Commission allow him to contest the election 2nd time when it was known to everyone that he submitted the fake degree first time? Second, why did his case was reopened after approximately two years and why was he given two options by the Supreme Court instead of continuing the trail? As a matter of fact, the precedence has been set by the Supreme Court that if a person resigns from the National Assembly on the issue of fake degree then no persecution will be initiated. Furthermore, it is also ridiculous to reject his candidacy when the condition of Bachelor degree has already been abolished. The Election Commission has no right to put restriction on freedom of speech as they did it by rejecting nomination papers of Ayaz Amir. The accusation is that he differed with so called ideology of Pakistan, which is, frankly, speaking unknown to many. 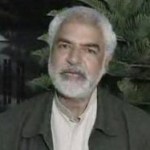 Ayaz Amir is a seasoned journalist, columnist and political analyst. It is the demand of his profession to discuss various issues from different perspectives. If he discussed so called ideology of Pakistan and differ with the nationalists, it cannot be a reason to doubt his patriotism to reject his nomination papers. The Two Nation Theory, in which it is stated that the Hindus and Muslims are two nations and nationalists consider it as an ideology of Pakistan, is open for discussion. Rejecting someone nomination papers for intellectual discussion is highly unjustified. Moreover, Ayaz Amir is among a few of those people who have courage to speak their minds in front of their political parties’ main leadership. The Returning Officers of the Election Commission cannot use discretion in a non-convincing manner. They cannot interpret the laws in two different ways depending upon the personalities. Frankly speaking, they could not even reject the nomination paper of General Pervaiz Musharraf for the cases in which he was only accused but not convicted.